Here are the 10 questions to be answered for this tag. I’ve tagged my favourite bloggers at the bottom of this list who I think should join in too. 1. WHAT IS YOUR FAVOURITE AUTUMNAL LIP COLOUR? 2. WHAT IS YOUR FAVOURITE AUTUMNAL NAIL COLOUR? Nail Varnish is not my friend – I can’t apply it without looking like I asked a 6 year old to do it. AND it chips? Within like 0.7 seconds? Why?! Now this is a question I can get down with. I recently tried some praline latte drink thing from Starbucks – I was not impressed, the best part was the cream and syrup, the rest tasted like pure vomit. I recall liking their toffee-nut latte last Christmas, and Costas honeycomb something-or-other latte. Something red and cinnamon-y? With some spiced apple? Or horse chestnut? 6. HAUNTED HOUSE OR SCARY MAZE? Again, nope, nope, nope and more nope. This is the only good part of Halloween, the shops are filled with 100’s of bite size sweets, and now I’m pregnant I don’t have to feel guilty about eating any of it. Give it all too me. 9. WHAT ARE YOU DRESSING UP AS FOR HALLOWEEN? I don’t know if I am yet. I thought perhaps I could dress up as a Mummy, wrapped in toilet paper and all that. But that sounds like a lot of effort… I do have a pumpkin maternity t-shirt I might wear. 10. 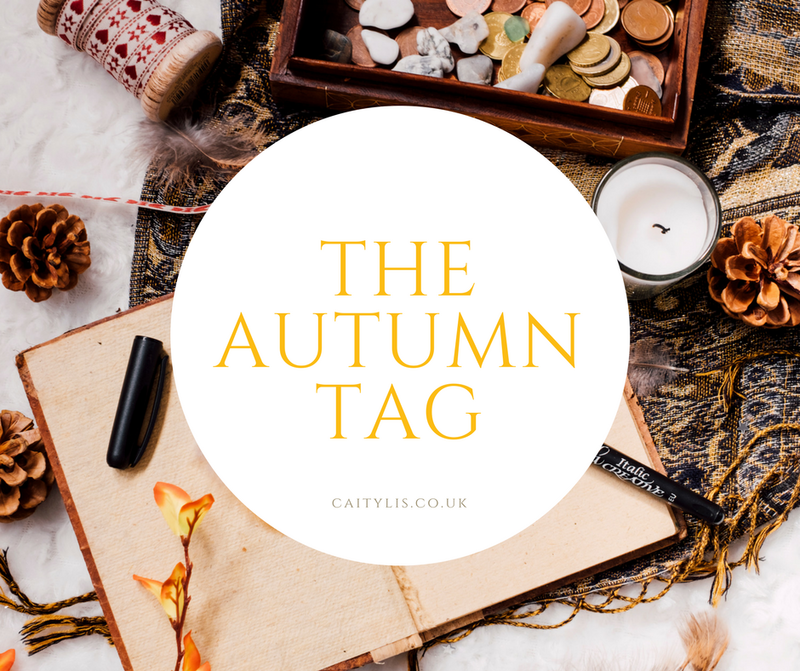 WHATS YOUR FAVOURITE THING ABOUT AUTUMN? Probably the way the streets change colour, that everything gets cosier and I have more excuses to drink hot chocolate. I tag the following bloggers… Share the love, check out their blogs! "12 Things You SHOULDN’T Say to a Pregnant Woman"
"Pregnancy Update – 30 Weeks"